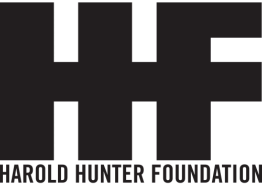 As a registered 501(c)(3) non-profit charitable organization, the Harold Hunter Foundation welcomes monetary support for its various programs and initiatives. All donations are tax deductible. Since 2007, the Harold Hunter Foundation has used donated funds to provide more than 200 need-based scholarships for NYC youth to attend Camp Woodward the Element YMCA Skate Camp, and the Homage Skateboard Academy, and to support the development of a variety of programs and initiatives serving skaters age 6 to 30. If you are interested in volunteering or donating goods or services, please click here. ​From all of us at the Harold Hunter Foundation, we sincerely thank you for your support!